A court battle is set to rage over newly expanded powers that communications minister Faith Muthambi has gained over the SABC board, City Press newspaper reported on Sunday. “The changes are far reaching and reduce the board’s power significantly,” said civil action group SOS co-ordinator Sekoetlane Phamadi. The SOS: Support Public Broadcasting Coalition collective, along with other partners, have approached the high court in Pretoria in a bid to have Muthambi’s new powers declared unlawful and unconstitutional. On 14 September last year, the minister signed an amended version of the SABC memorandum of incorporation which grants her the power to veto candidates and make the appointment of the national broadcaster’s CEO, chief financial officer and chief operating officer. She also now has the power to approve the terms of their employment contracts as well as to approve all the board’s business and strategic plans. 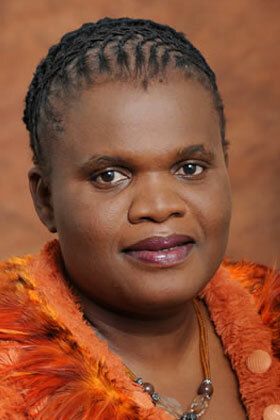 Phamadi said that the minister’s new level of authority set up a system of “micromanagement” of the SABC. According to the City Press, in her answering affidavit, Muthambi stated her plan to reduce the board from 15 members to seven. Muthambi’s spokesman Ayanda Hollow told the newspaper that the minister “disagrees” with the claim that the amended memorandum is illegal. “Your belief is based on a lack of information or ignorance… The minister is in the process of overhauling the entire Broadcasting Act and will engage the stakeholders in this regard”. 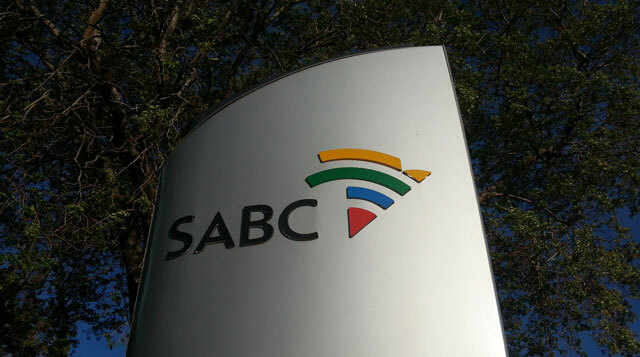 On Sunday, SABC spokesman Kaizer Kganyago said that the broadcaster did not comment on matters relating to the minister. Also, the Democratic Alliance issued a statement in which it deemed the extended powers of the minister a “hostile takeover”. “In short, the memorandum of incorporation removes the power of the board to run the SABC, said Democratic Alliance MP Gavin Davis. In January, board member Bongani Khumalo resigned, allegedly because the minister had sent letters to the board asking for reasons as to why they should not be suspended. His resignation came less than a month after SABC board chair Zandile Tshabalala resigned, following a scandal in which she was unable to provide proof of her academic qualifications, as requested by a parliamentary committee. Faith has taken powers upon both herself and Jake that would make a Goebels blush. But what can one expect from a government by Taxi Owners such as this? I for one see nothing unusual in this take over of the national broadcaster, it was all there from Day One in April 1994, directly after DeKlerk handed over the keys at the Union Buildings rank. Why must we pay licence fees for a privately owned (Faith Muthambi/cANCer) enterprise? The SABC has always been the mouthpiece of the government, so what is new? That might be the situation in SA, simply because we still struggle with REAL democracy, freedom of speech and plurality/diversity. In more mature democracies state broadcasters like the BBC have a reasonable degree of objectivity and diversity. In France and the small European country, that I originate from, the national broadcaster has special equal slots for ALL political parties to air their views. So the party for the elderly, the party for protection of animals, the party for more freedom of the web and a very conservative strict religious party have the same opportunity in that regard, although the mainstream major parties are mostly covered on news bulletins and current affairs programs. Seffricans as a whole are still too sheepish, compliant and like the situation we have here, it seems. It is not a privately owned entity, and your tax money bailed it out some years ago when CEO Adv Dali Mpofu had practically bankrupted it. It SHOULD be fully privatised ASAP, together with state signal transmitter Sentech, just after SAA has been auctioned off. If you give any party more airtime in SA than the ANC receive and the people are likely to riot because of that. They want or is it need, to be told that they voted correctly and that the cANCer will rule until Jesus comes. I actually believe, you are way too negative. I do believe there is a growing dissatisfaction between not only well educated blacks, but more and more middle class blacks, and probably even the poorer communities, with the ANC. SA is just still such a divided society. When did you have actually for the last time have a decent conversation with a typical ANC voter in a relaxed, not demeaning fashion about the real issues of this country, politics, corruption, jobs and the economy, declining infrastructure, Eskom, etc ? Maybe I am too negative, but the fact that a “political” party like the EFF actually exists and that they actually have seats in parliament show to me the level of thinking of the poorer people. They actually believe the BS that Julius is telling them. Come next elections, the ANC will lose more support and the EFF will climb to at least 10%. That’s my prediction. Old National party to a T. We never expected anything else! The problem with your statement is that there are too few well educated blacks. The Nats and then the ANC saw to that. And in other more stimulating news, it rained in London.